Tourism Under Trump: Can Recreation in Appalachia Revive a Struggling Economy? It’s mid-April, and the New River flows lazily past the town of Thurmond, West Virginia between ridges marked by the mix of leafless brown and electric green that signals the moment just before nature explodes and rafters return. Looking down from the Concho Rim high above the river, Haynes Mansfield talks about Thurmond’s history as a coal hub and resort town in the early 20th century. Today, sections of the historic town are part of the National Park Service-managed New River Gorge National River. Mansfield, marketing director for ACE Adventure Resort, describes the location of the resort’s private put-in, on a bend below the town, as well as the put-in for other regional outfitters just above. On this day, the river looks vacant. 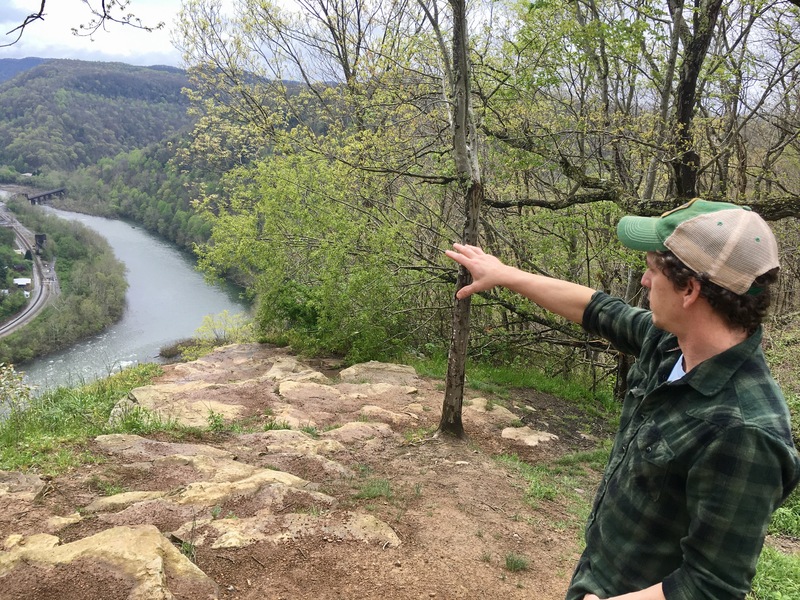 But within a few weeks, tourists will start to flow into the West Virginia communities that sit along the river for adventures in whitewater, rock-climbing, mountain-biking and other outdoor pursuits. Along with Adventures on the Gorge, ACE Adventure Resort is one of the two biggest outfitting operations on the New River Gorge. The resort has grown so much since opening in 1987 that it’s running out of space to place visitors. It rents out 52 cabins on site, which range from tiny houses to 1,500-square-foot five-bedroom cabins and — during whitewater season — they’re booked solid. In 2015, ACE moved to build a 60-room lodge on the Concho Rim, just feet from where Mansfield stands, but was blocked by the West Virginia Department of Environmental Protection due to a lack of wastewater capacity. As a result, the nearby city of Oak Hill annexed the historic mining community of Minden, as well as ACE. The company then launched a $23.6 million wastewater treatment project that will provide capacity for the lodge, as well as remove a number of open pipes that drain into the New River. For Oak Hill, the annexation represents more than just an infrastructure project and expansion of territory. It’s an investment in a growing outdoor recreation sector that took root in the rafting rush of the ’80s and ’90s, and now has matured into a core part of the community’s culture. Throughout Appalachia, many communities are considering a similar shift in focus when it comes to economic development. Outdoor recreation has grown substantially over the last few decades, not just as a way to bring visitors but also as a talent magnet. In doing so, advocates of the slippery, sometimes elusive concept of “economic diversification” are trying to change the community narratives in towns that have seen longtime legacy industries decline or even depart. Each of these communities faces a different combination of assets and challenges, and so the formula varies place to place. Ask around for an example of a place where this has worked, and many people point to Roanoke, Virginia. Roanoke, which sits in the Great Appalachian Valley at the junction of the Wilderness Road and Great Wagon Road, took off in the 1880s when Norfolk & Western built its headquarters there. The city rose and fell on the railroad’s fortunes through the 1900s, but the last few decades have seen a decline as the railroad shifted its offices to Norfolk and Atlanta, culminating in 2015 when it closed its last administrative offices in town. By then, however, Roanoke had significantly shifted its model of economic development, pursuing outdoor, tech and science-based initiatives including the Blue Ridge Marathon, the GO Outside Festival, a broadband authority and an extensive partnership between Carilion Clinic and Virginia Tech that created a new medical school and research institute. In 2016—one year after Norfolk Southern closed up shop—the Roanoke Valley landed production breweries by Deschutes Brewery and Ballast Point Brewing and Spirits, as well Italian auto-parts manufacturer Eldor. Coming in quick succession, those economic development wins became a rallying point and completed Roanoke’s transformation from a gritty railroad city to a hip mountain beer town. Other communities have taken note of how Roanoke and its sister city in North Carolina, Asheville, have used outdoor assets to build an economic development strategy that brings jobs that pay livable wages, not just seasonal service gigs. The approach varies by community, however. In Johnstown, Pennsylvania, non-profit economic development organization Johnstown Area Regional Industries (JARI) has shifted resources to supporting outdoor-related entrepreneurs, said President and CEO Linda Thomson. The community narrative hasn’t always kept up with that forward movement, however. When the metallurgical coal market spiked several years ago, JARI found itself recruiting workers to fill 1,000 job openings in the mines. Thomson explained that some residents still hope to return to the city’s glory days as a coal-mining, steel-making industrial hub. As a candidate last year, Donald Trump’s pledged to revive both coal and steel as major employers. Such promises won him the support many Appalachian voters. Skip Glenn, a professor of marketing and entrepreneurship at the University of Pittsburgh at Johnstown, believes the election of Donald Trump in November may make those legacy issues more challenging. In Fayette County, West Virginia, a handful of surface and underground coal mines still operate, and many cultural indicators still point squarely at the legacy coal industry. King Coal Chevrolet billboards are everywhere, and the remnants of historic mining towns remain in places like Thurmond. As with Johnstown and Roanoke, however, economic development organizations have shifted their focus. The New River Gorge Regional Development Authority, which serves Fayette, Nicholas, Raleigh and Summers counties, is putting lots of energy into boosting homegrown entrepreneurs. That includes small-scale farmers, as the organization works to build up the local food economy. It also spun off Active Southern West Virginia, a nonprofit that seeks to get more residents active and healthy—with the intended benefit of making the region’s workforce more attractive to prospective employers. As with Johnstown and Roanoke, changing the conversation and self-image of southern West Virginia is part of the challenge. But while the conversation is shifting, other challenges remain and the new administration may be adding some new ones. Trump’s so-called “lean budget” severely cuts federal programs that aid in regional economic development, slashing Appalachian Regional Commission, the Economic Development Administration and the U.S. Department of Agriculture’s infrastructure budget, all of which provide key funding for programs and infrastructure. Congressional leaders have said they’ll preserve these programs, but even partial cuts could set back economic development efforts in Appalachia. Then there are the challenges inherent to Appalachia’s climate. The outdoor economy still operates largely on a seasonal basis. In the New River Gorge, rafting season runs from April through October, with mountain biking and rock climbing providing a buffer “shoulder season” on each end. The outdoor industry provides mostly service jobs and full-timers often work as guides during the rafting season, then head to ski towns during the winter months. Kenny Parker, co-owner of Fayetteville retailer Waterstone Outdoors, said his business has grown slowly but steadily since it was founded in the mid-’90s. He’s seen the rise of a local outdoors culture that plays in the gorge but flocks to local restaurants afterward. Parker sees more potential, but also missed opportunities, such as a friend in computer programming who moved to Fayetteville for several years ago but recently left. Kelly Jo Drey, who works in county offices practically next door to Waterstone, is among those trying to make a difference. Drey is the Fayette County resource coordinator, but also is training to become a guide for Adventures on the Gorge this season. She’s developing a proposal to turn an 84-acre property into a farm incubator, as well as considering how to revitalize empty downtown storefronts in Mount Hope, a nearby city hit hard by floods in 2010 that’s also the target of an Active Southern West Virginia trail project. Drey also oversees Wolf Creek Park, a 1,000-acre county industrial park that was launched in 2006 as a live/work/play/learn mixed-use development. The park’s momentum was damaged by the recession of 2008 that ravaged the global economy, but the property still remains the county’s focal point for leveraging its outdoor assets into well-paying jobs. As of April, it’s home to craft brewery Bridge Brew Works, tunneling equipment maker Robbins Company, the county’s E-911 center, a WVDEP office and several single-family homes. Drey walks along a series of boardwalks across a wetland at the park, describing how the structure was envisioned as a place for children to learn and residents to meditate, bird watch or just take a few minutes out of their day. As if on cue, a pair of red-breasted mergansers flush from the underbrush and take to the sky. Drey believes draw of the gorge and other assets goes well beyond tourists: Outdoors culture is baked into the community. Further into the park, however, the long-term vision for Wolf Creek runs into reality, as the road abruptly ends at a graded 6-acre pad that sits vacant. There’s more land to be cleared and graded in the 1,000-acre park, but the county has been using the sale of sites to fund road building, so it’s got to sell that cleared pad to obtain the funding for the next phase. In a way, this spot works as metaphor for the outdoors industry in many Appalachian communities. The region’s path forward leads to wildlands and some feeling of the unknown. But with investment, hard work and some good luck, perhaps those outdoors assets can be leveraged into jobs. A native of the Alleghany Highlands, Mason Adams (@MasonAtoms) has worked as a journalist in the Blue Ridge Mountains since 2001. He lives with his family plus dogs, cats, chickens and dairy goats in Floyd County, Virginia. About 2,500 people work here. But looking out across the floor it’s sometimes hard to find a human among the boxes, bins and conveyor belts. Often they’re working closely with the machinery. At a packing station an employee is surrounded by boxes and envelopes of different sizes. “So here at our ergonomic pack stations our great associates interact with the technology to package customers’ orders,” Woodson said as the employee scanned items. A computer shows the optimal box size to be packaged. “The tape machine will push out the perfect amount to tape so they can seal the box,” he said. 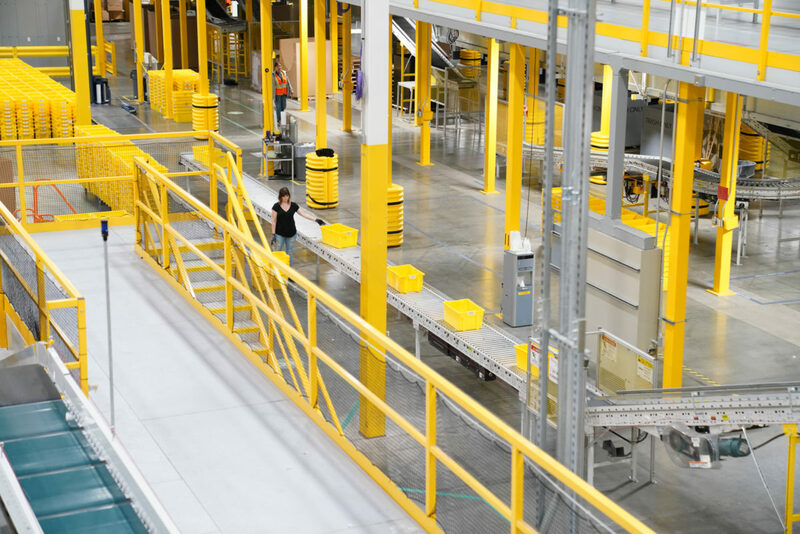 There are about 20 Amazon fulfillment and distribution centers like this in Kentucky and Ohio. Some are the host town’s main employer. About 20 percent of the workforce in Campbellsville, Kentucky, for example, works at Amazon. UPS and other product delivery services have a large presence in the region as well, and all are likely to make more use of automation. “We have a lot of what we call ‘pick and pack’ warehouse facilities and those facilities have a lot of people in them, but they also have a lot of computers and robots,” Michael Gritton said. He’s executive director atKentuckianaWorks, a nonprofit organization focused on workforce development in Kentucky and Indiana. “Over time you would expect those facilities to have fewer people and more computers and robots,” Gritton continued. The Ohio Valley has seen its workforce disrupted from the decline in the coal industry and globalized trade’s effects on manufacturing. Automation is again changing the way we work and is predicted to lead to more disruptions. That has planners like Gritton concerned about what rapid automation could bring, and it’s not just the warehouse workers at risk. A recent Brookings Institution report showed about one-quarter of all jobs in the Ohio Valley region have a high chance of being wiped out by automation, with service jobs, truck drivers, and office administrators among the most vulnerable. That could lead to disruptions in employment and greater income disparity. Gritton said education is going to be key in adjusting to changes in the workforce. He said government leaders need smarter strategies to invest in people more than one time in their lives. “We’re trying to work to help people reskill and retool where they can,” he said, but noted that the demand for that is beginning to look daunting. Mark Muro is the lead author of the Brookings report, which does more than just point out potential problems. The report also showed that education can make places and people better able to adapt. Muro said the way the education system is set up now doesn’t encourage lifelong learning and the constant development of new skills. He said people need affordable ways to develop the skills that are uniquely human by investing time into becoming creative problem solvers and developing interpersonal skills. Muro said the places with higher levels of degree attainment will have the least amount of exposure to automation. The Ohio Valley is at a higher risk because of the share of workers in agriculture, small factories and the service industry. But Muro said because the Ohio Valley region is mostly rural, it may have more time to adjust to these rapid shifts and prepare people for change. Muro said it’s important to understand that new technologies will be able to do a lot of different tasks but not whole jobs. He said that means entire jobs or fields won’t be suddenly replaced by robots. “It’s not like this has created an epidemic of joblessness and done away with wholesale employment, that’s simply a misnomer,” he explained. The Brookings report looks at what it calls the Information Technology Era. When machines handle routine activities, it frees up the human capacity to create new products and tasks. For example, the report notes that the increase in consumer banking services was occurring as ATM machines were replacing some tasks bankers did. Not everyone sees automation as the great threat some predict. Jared Bernstein is a senior fellow at the Center on Budget and Policy Priorities. He recommends a more nuanced view that emphasizes job quality over quantity. “Try to understand less the extent to which technology is going to displace workers, because that’s actually pretty unknowable, and more thinking about its impact on the quality of jobs,” he said. Bernstein said the problem with the argument that robots are coming to take jobs is that the country is creating about 240,000 jobs a month and unemployment is low. “I don’t mean everything is fine by a long shot, but I think people face a lot of economic challenges that don’t have all that much to do with automation and have a lot to do with just their personally weak bargaining power,” he said. Bernstein said automation has changed jobs for those who have reskilled and made themselves complementary to the machines. He said it’s the responsibility of the government to push companies like Amazon in the right direction. However, Bernstein warned, the government’s track record for preparing workers for these type of transitions is not good enough. Jane Oates agrees that automation and technology have always led to disruptions in the workforce. The difference this time, she said, is the pace of that change. Oates is the President of Working Nation, a national nonprofitfocused on what it calls the looming unemployment crisis. She said people need to understand that every sector is changing and those who aren’t willing to make changes to become lifelong learners are going to be left behind. Oates agrees with Bernstein that employers should be responsible for preparing the future workforce and she said there’s a way the government can reward workplaces that do. “When you allow federal dollars to be spent for incumbent worker training, that sends a clear message that if an employer wants to do the right thing there are government dollars that could assist there,” she said. That sort of proactive policy could be the difference as automation changes the workforce. Without it, it’s possible that a place like the Ohio Valley could be left further behind. The Appalachian Regional Commission is offering that support through $45 million in federal grant funding in 2019. The grants are tied to the Congressionally-approved POWER Initiative, which stands for Partnership for Opportunity and Workforce Economic Revitalization. The program was specifically designed to stimulate the economy in coal-impacted communities. 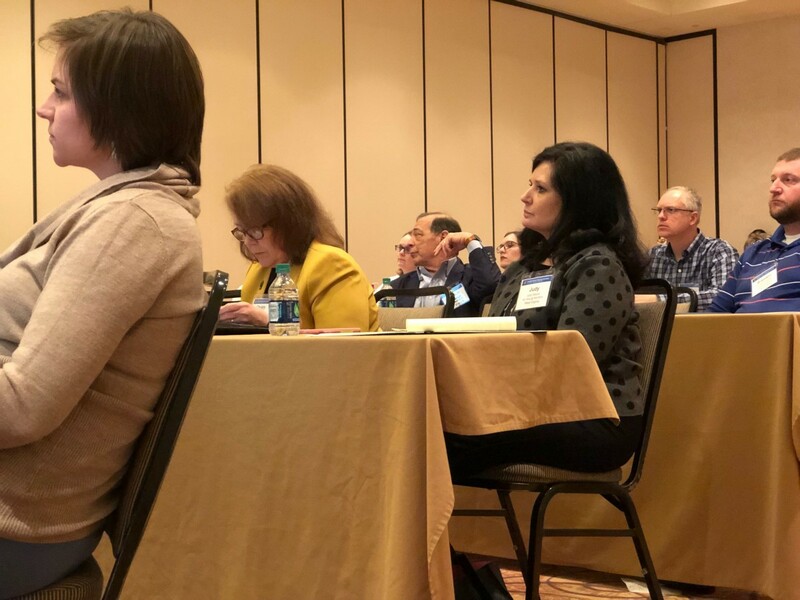 Over the past several weeks, the ARC sponsored four workshops throughout the region to guide interested entrepreneurs and organizations through the application process. The final workshop was held in Morgantown, West Virginia, Wednesday. The POWER program has invested $144.8 million dollars in Appalachia so far to support economic development projects, but this year, Thomas said the commission is shifting its focus, taking a special interest in programs that address two of the region’s largest problems: substance abuse and broadband access. Both, Thomas said, are issues tied to economic development. Broadband internet is critical infrastructure in today’s economy, Thomas said, just like water and electricity, but it is expensive to expand access in the region. The ARC is looking for innovative ways to bring broadband access to new communities through its POWER Initiative in an effort to stimulate development in underserved areas suffering from a lack of connectivity. When it comes to substance abuse, Thomas admitted that while the ARC isn’t a healthcare entity, transitioning people from recovery back into the workforce is a vital service the commission has the capacity to support with these funds. “Getting folks in recovery back into work not only helps the economy, it also helps in their continued recovery. That sense of self-confidence and self-esteem is so important to sustainable recovery and that’s what a job brings to an individual,” he added. Last week, the ARC announced $22.8 million in POWER funding for 33 projects across the region. Six million dollars of that funding was awarded to job training programs for people in substance abuse recovery in Kentucky and West Virginia. The next round of applications for the initiative are due in April. It isn’t news that Appalachia is struggling economically. If you’ve followed the boom-bust cycle of the coal industry, you know that we’ve been here before. Coal production in Appalachia fell by almost half between 2005 and 2015. During the same years, coal industry employment fell by around 27 percent, and most of those losses were in central Appalachia. In the past year, the coal industry has rebounded a little, but most economists agree, coal alone is not the answer to the region’s financial problems. But some people see these challenges as opportunities. This week’s episode of Inside Appalachia features eight innovative ideas, created by Appalachians, for Appalachians. Coal has gotten a dirty reputation. There’s a strong push to eliminate coal mining, and the jobs that come with it, in order to lower carbon dioxide emissions. But coal can be used for more than energy. We’ll learn about one inventor, named Brian Joseph, who is using Appalachian coal to help build rockets headed for outer space. As the steel and coal industries fade, small towns in Appalachia are struggling to survive, and sometimes it seems like that struggle is the only thing people in other parts of the country know about Appalachia. But for the past 20 years, entrepreneurs have quietly been working on a different strategy, one that leverages the region’s natural beauty and resources to grow Appalachia’s economy. In this show we hear about the steady climb of the tourism industry in parts of Appalachia. Not all creeks and rivers in Appalachia are pretty, or even safe. Here in Appalachian coal country, there are thousands of miles of streams that run bright orange with acid mine drainage. But one industry’s waste is another industry’s riches. We’ll hear how researchers are aiming to turn coal waste into valuable high-tech products. Lavender being grown on a strip mine in Boone County, W.Va. Many Appalachian mountains have been blasted, stripped, and hollowed for their valuable riches. What’s left behind is usually a barren landscape that doesn’t seem good for much, but imagine if they could be covered with fields of purple. 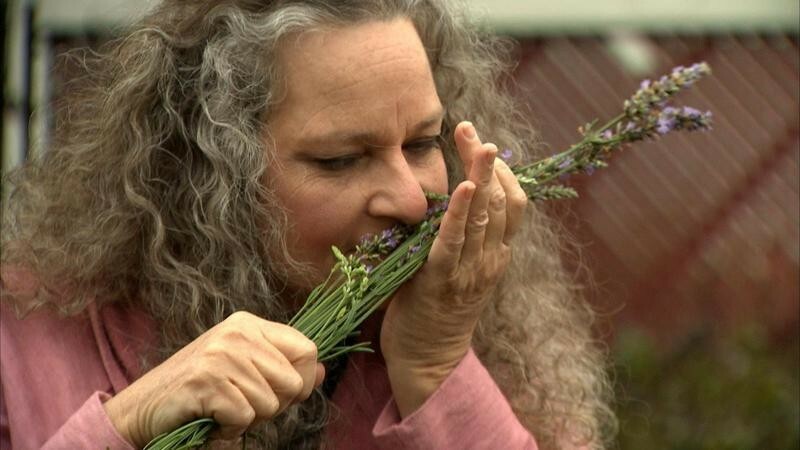 We’ll hear from farmers in West Virginia who hope lavender could give the state’s struggling economy a boost. Lavender isn’t the only herb that grows in our region. According to biologists, our mountains are rich with some of the most ecologically diverse forests in the country, making this a ripe place to harvest medicinal herbs, like ginseng and goldenseal. Economists say that herbal supplements and vitamins are a $30 billion industry in the United States. Worldwide, they’re even more popular with consumers. But harvesting these wild plants has mostly been considered a side job, not a main occupation for Appalachians. We’ll learn what one organization in southwest Virginia, called Appalachia Sustainable Development (ASD), is doing to help connect sustainable medicinal farmers with big companies. According to ASD, in the project’s first year, a total of 3 forest farmers sold $2,400 of forest grown verified and organic certified blue and black cohosh. As we’ve reported on in our Struggle to Stay series, Appalachia is struggling with population loss. From 2016-2017, West Virginia’s population decreased by more than 15,000 people. Some of this loss has to do with an aging population, but others look to the economic challenges as one of the reasons the state is shrinking. “If there were things here that they could do and positions that they could take, they’d stay. People don’t want to leave their homes and their families,” said Dr. Kendra Boggess, president of Concord University in Mercer County, West Virginia. She and other higher education leaders in West Virginia have joined together to launch an initiative, called the Alliance for the Economic Development of Southern West Virginia, which focuses on economic development solutions for Southern West Virginia. Some counties in this area are dealing with an economic climate comparable to that of the Great Depression. These are big challenges and the vision of the initiative is that some of the solutions can be found locally, in the experts and resources on college campuses. The project aims to collaborate with entrepreneurs and municipalities. With so many people leaving Appalachia in search of work, some employers are feeling the strain. It’s sometimes difficult to find skilled, educated workers. A non-profit called Generation WV has launched a new fellowship program, called Impact WV, which is trying to help match businesses with skilled workers who want to stay in West Virginia. Jobs in the tech industry may not be what Appalachia has been known for, but it could be a big part of our future. A project in eastern Kentucky, called Tech Hire, received several million dollars from the federal government to teach software development to people in the coalfields. The program stirred up some controversylast year, after there were questions about just how many new jobs the program was able to create. Program organizers say they learned some lessons about how to make sure more trainees end up with gainful employment. And Inside Appalachia host Jessica Lilly closes the episode with some personal thoughts about the future of economic development in our region. Most of the stories in this episode are part of a series called “Appalachian Innovators”, which was made possible with support from the Benedum Foundation and the Appalachian Regional Commission. This article was originally published in West Virginia Public Broadcasting.